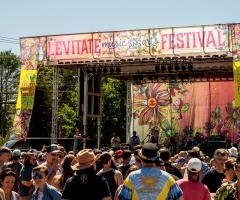 For the first time since its inception seven years ago, the nation's leading jam band jubilee, Levitate Music & Arts Festival, is officially expanding to three days! Returning to the Marshfield Fairgrounds in Marshfield, Massaschusetts, what started out as a modest 10-year anniversary party for a beloved local surf and skate shop, Levitate, has simply exploded into an enigma beyond anyone's expectations. 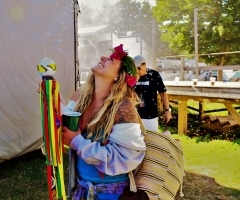 Every year, Levitate's grassroots grow ever deeper, enveloping underground jam band, alternative, funk, reggae and more while mixing in a little mainstream vibes along the way. You're probably rolling your eyes, thinking 'oh yeah, that's what every festival says about itself these days'... well, if you don't want to take our word for it, Pollstar Magazine nominated Levitate for 'Music Festival of the Year' in 2017. Levitate is truly among the top summer destinations the east coast has to offer. Get ready to mark your calendars, gals and gents, for you do not want to miss Levitate 7 this July 12th-14th, 2019. Levitate is truly among the top summer destinations the east coast has to offer. Sold out year after year, the Levitate crew thought it was dire time to take the fest to the next level. Now encompassing a new half-day, festivalgoers get a weekend kickoff at 4pm Friday with extra evening performances on the main stage! Not only that, but have you even heard who's coming to Levitate 7? 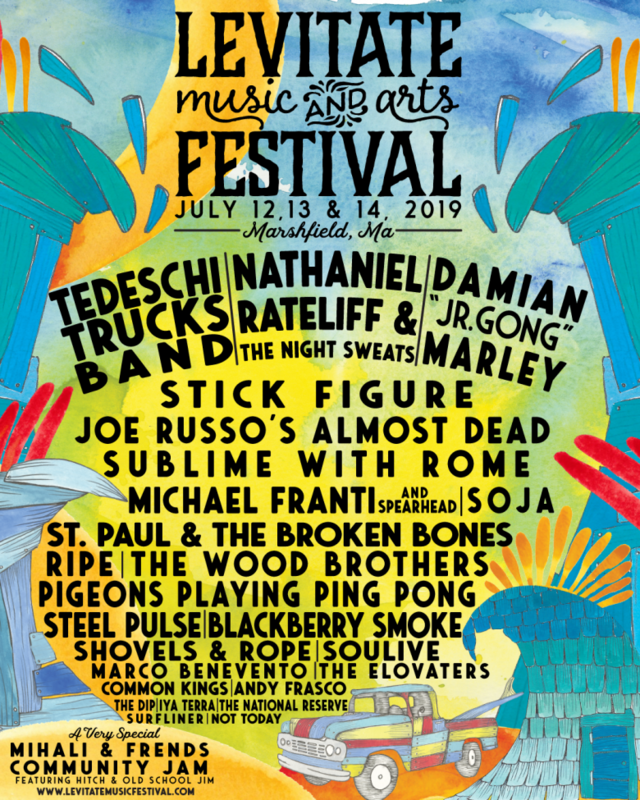 It just doesn't get any better than this; headlining 2019 is Tedeschi Trucks Band, Nathaniel Rateliff & The Night Sweats and reggae-rapping icon we all know and love, Mr. Damian "Jr. Gong" Marley. Making the trip out to Marshfield again is reggae-rock A-lister Stick Figure, alongside other heavyweight names Sublime With Rome, Steel Pulse and SOJA. More reggae, you ask? Enter Michael Franti and Spearhead. Michael Franti's live performances are so emotionally powerful, your pop-reggae preferences will never be the same. Levitate takes pride in also featuring the top folk and indie bands in the scene, welcoming Joe Russo's Almost Dead, St. Paul & The Broken Bones, The Wood Brothers and Pigeons Playing Ping Pong for the 7th Annual. Ripe, a funky bunch of fun-having lads who stole the show in 2018, are set to return, as well as local reggae-rock up-and-comers The Elovaters. GRAMMY-nominees Common Kings are set for a midday launch alongside Blackberry Smoke, Iya Terra, Marco Benevento, Soulive, The Dip, Andy Frasco, Shovels & Rope, The National Reserve, Surfliner and Not Today. Top that all off with another improvisational community jam with Mihali (of Twiddle), Hitch, Old School Jim and more! What a weekend to be had. Limited Early Bird tickets are on sale as of February 7th, with general admission two-day passes starting as low as $129. Splurge for that Friday half-day for only $30 more! VIP packages are also available, ranging from $329-$369 at this time. Single day tickets will be available soon, but if you think about, why miss out on anything when prices are this affordable? VIP wristbands not only include premium viewing and access, but unlimited complimentary Island Creek oysters, free passed appetizers, AC restrooms, among many other perks. Keep in mind kids ages 12 and under get in free! 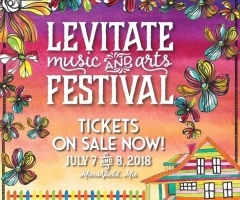 For more information or to snag your passes now, visit www.levitatemusicfestival.com.